If you are thinking about setting up a garage radio station, then most likely you are looking at setting up internet radio. You are about to become a broadcaster in the digital world. A lot of people get involved in this because it’s fairly easy to do, and not all that expensive. It takes a bit of physical space for this type of operation, but really not too much, and a lot of people do this out of their garage, which has given this type of radio station its name. Then you may also want to have a website to go with your radio station so you can present a visual appeal to your station. 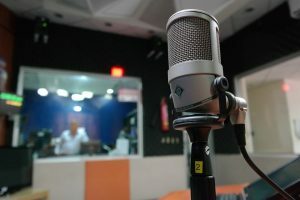 There are much easier methods and fewer equipment requirements for setting up an internet radio station, and most often these are similar to podcasts. What you should do is begin this adventure by really doing your research to determine exactly what you want to do, and what you could accomplish. Once you decide on your method of broadcasting, then you need to focus on your skills and know what your boundaries are from a legal standpoint. Then it will come down to learning how to market your internet radio because you are going to want listeners. If you are thinking of doing this as a business, then you have a lot of other things to learn before you can even think about generating a profit. This is an additional learning curve that comes with internet radio. Plus, don’t forget you are going to have competition, so you need to be good at what you are doing!